- Granite Lake Association, Inc. The Granite Lake Association and the Harris Center for Conservation Education are working together to protect the headwaters of Granite Lake! 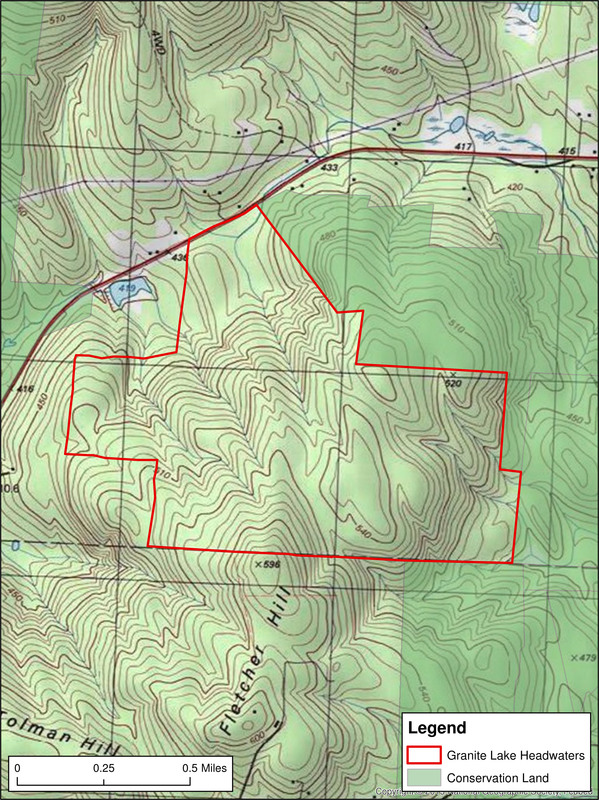 The location of the Granite Lake Headwaters property (outlined in red), in relation to Route 9 and a nearby corridor of conserved land (in green). To read more details about this project to protect an important body of water for Cheshire County, please visit the Harris Center for Conservation Education's website. To make a tax-deductible contribution in support of this project, select “Granite Lake Headwaters Protection Fund” as the program for your online donation. You can also make a donation by printing out this form and mailing it into the Harris Center with the instructions on the second page.